The Wichita Aero Club has announced the creation of the Edward W. Stimpson scholarship to honor the memory of the late President of the General Aviation Manufacturers Association and ICAO Ambassador and provide an annual award for applicants who seek to make a significant contribution to the aviation industry upon completion of their education. Guidelines and online application here! Please note: Transcript required for scholarship consideration! A Wichita Aero Club Scholarship Fund has been established with the Wichita Community Foundation, a 501 ( c ) 3 organization for the purpose of furthering the Wichita Aero Club’s commitment to aviation-related education. “We launched this scholarship now to help stimulate interest in and support of aviation-related curricula at learning institutions and to provide, initially, some help in defraying a significant portion of one semester’s expenses for the recipients,” explained John O’Leary, vice president of Engineering at Airbus North America Engineering and Chairman of the WAC’s Education Committee. “Our intent is to increase the amount of the awards as we grow the Scholarship Fund through contributions, proceeds from our fund-raising events, including our annual golf tournament and Gala, and emulate the commitment to education demonstrated by Ed Stimpson. O’Leary also noted that Ed Stimpson, the long-time GAMA President and ICAO Ambassador was “a true friend of aviation education, and a former Board Member of Embry Riddle Aeronautical University. We have a branch of ERAU here in Wichita, located at McConnell Air Force Base and, even though, Ed was not from Wichita…or even the local region, his impact on general aviation and the many people who work in the Air Capital was significant. He, along with Russ Meyer at Cessna, helped spearhead the effort to pass the General Aviation Revitalization Act of 1994, which helped preserve or create many thousands of jobs. “During the 1990’s, when Ed was President of the General Aviation Manufacturers Association (GAMA), a post he held for 25 years, he was the face of General Aviation on Capitol Hill. A long time advocate and supporter of aviation education, he graduated from Harvard and earned a Masters in Public Administration from the University of Washington. He also served for years on the Board of Trustees at Embry-Riddle Aeronautical University, holding the position of chairman of the board for seven years. Ed began his career in aviation as the head of Congressional Affairs for the Federal Aviation Administration under the Kennedy Administration. 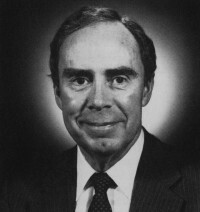 In 1970, he became president of the newly formed General Aviation Manufacturers Association, quickly assuming a leadership role in the direction of nearly every significant aviation policy issue of the era, including the establishment of the Airport and Airways Trust Fund, the allocation of aviation fuel during an oil embargo, and a strike by the Professional Air Traffic Controllers Association. Following his tenure at GAMA, he was appointed by President Clinton to be the United States representative to the Council of the International Civil Aviation Organization (ICAO) in Montreal, with the rank of Ambassador. He retired from that position in 2005. Honoring Ed and his contributions to aviation and education by naming the Wichita Aero Club’s annual scholarship is a fitting tribute to a true statesman and friend of all those who fly,” O’Leary concluded. 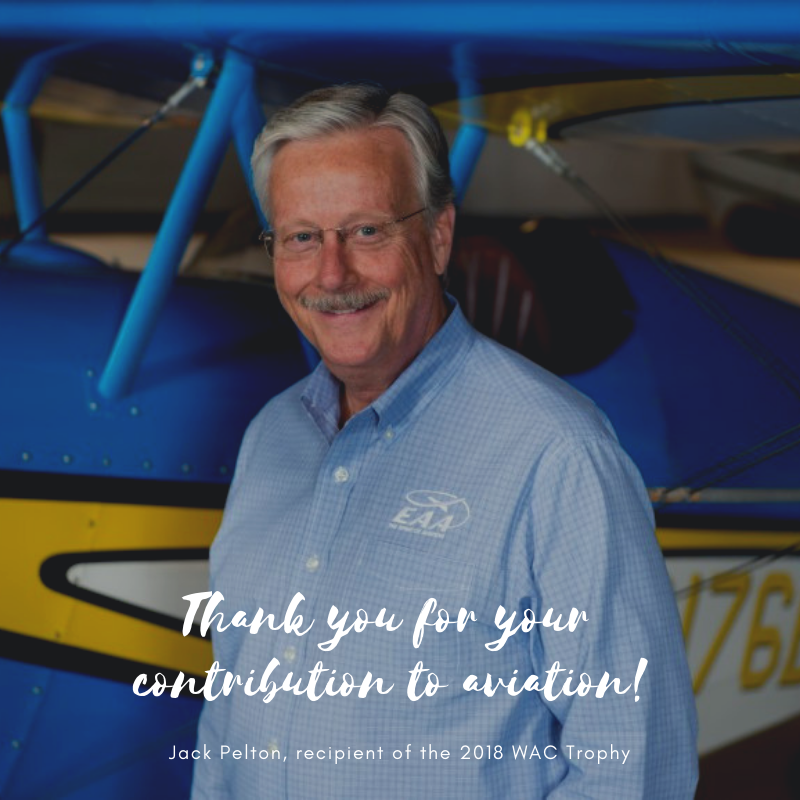 The Wichita Aero Club (WAC) announced at its annual Trophy Gala on Saturday evening, January 25 that it is creating a scholarship for college or post graduate students in honor of former Cessna Public Relations Chief Dean Humphrey. The scholarship is the second created by the WAC. The Aero Club’s other scholarship, named for former General Aviation Manufacturers Association President and International Civil Aviation Organization Ambassador Edward W. Stimpson, also provides financial assistance to college students who have declared a major or established a career path for a broad range of disciplines within the aerospace industry. Guidelines and online application form here! “Dean was an exceptional communicator…and a valued friend and mentor to me when I worked for him at Cessna in the 1970’s,” Franson added. “He set the standard by which communicators in our industry were measured and it’s very gratifying to be able to honor his memory in this way. Our Education Committee will work with the Wichita Community Foundation to create the application and disseminate information on this award during the next few months and we will announce the first winner at the annual NBAA Convention in October. Like the WAC’s Ed Stimpson scholarship, the initial Dean Humphrey award will provide $2,000 to the recipient. Our intention is to increase both the amount and frequency of both these scholarships as time goes on,” he concluded. The Wichita Trophy Gala and the annual WAC Golf Classic are held each year to grow the Club’s scholarship fund. Born in Topeka, Kansas Dean Humphrey graduated from Holton High School. His resume included serving as the Vice President of Public Relations for Cessna Aircraft Company, and as spokesperson for King Radio before that. Earlier in his career, he earned rave reviews as a broadcaster on both radio and television for KCMO in Kansas City. Four years in the Air Force and a journalism degree from Kansas University also helped shape him. But, those impressive credentials and his deep, distinctive voice aside, what made Dean outstanding was the way he made people comfortable around him. Whether dealing with inquisitive and even aggressive journalists, aircraft customers, elected officials, or helping to put on the Citation Special Olympics Airlift, Dean utilized creativity, disarming humor and attentiveness to put people at ease. He had a scholar’s grasp of the language and vocabulary, but he was a master at conveying facts in an efficient and understandable way that engendered well-deserved trust. When it came to representing his company, sharing information, or organizing the response to any situation, no one did it better than Dean. When he retired from Cessna in 1993 he was honored with the National Business Aviation Association’s Order of the Silk Scarf, presented for significant contributions to general aviation.